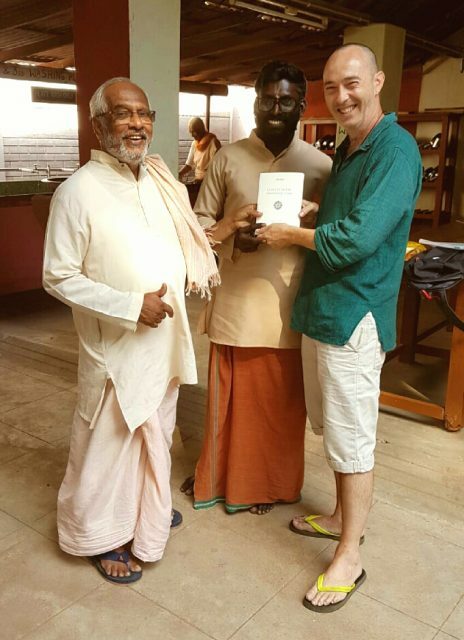 During his recent visit to Shantivanam Ashram in Tamil Nadu, Martino Nicoletti offered a copy of Jean Absat’s volume for the library of the monastery. 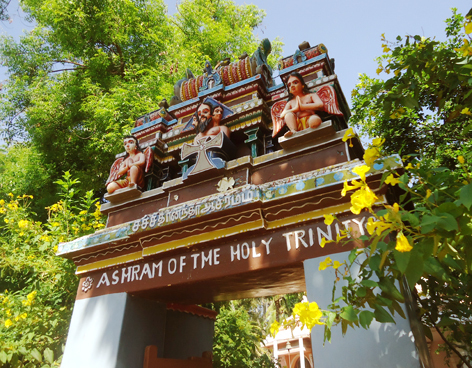 Shantivanam, was founded in 1950 by the French priest Jules Monchanin (Swami Parma Arupi Ananda) and the Benedictine monk Henri Le Saux (Swami Abhishiktananda), with the specific aim of integrating the Christian monastic experience with the life of a traditional Indian ashram as well as with Hindu spirituality with a special reference to the Vedanta advaita. With Bede Griffiths, in 1985, the ashram was affiliated to the Camaldolese Benedictine order. This volume, unifying the experience of contemplative prayer with the use of the body, represents a concrete contribution to interreligious dialogue: the original vocation of Shantivanam.